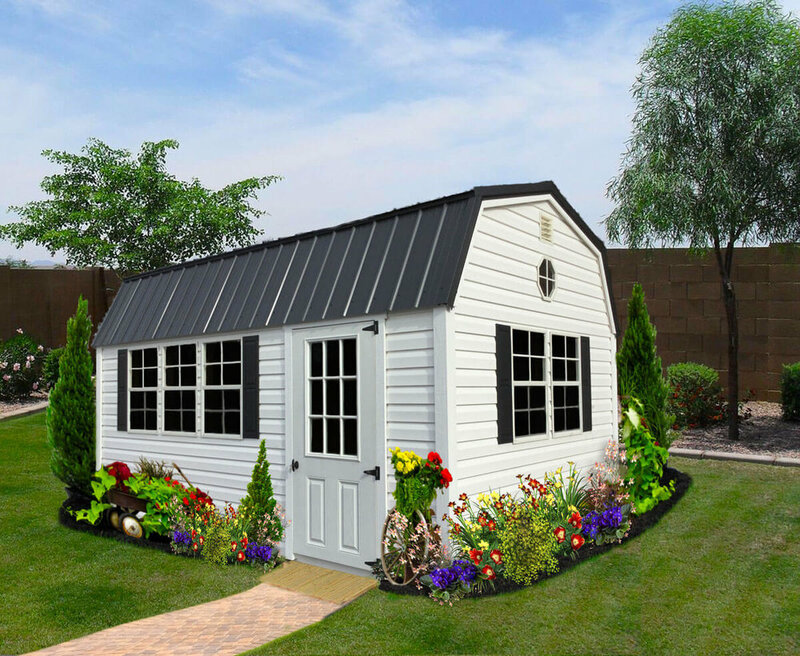 WITH ARCHITECTURAL DETAILS THAT ARE SURE TO IMPRESS, OUR VINYL SHEDS OFFER BEAUTY IN THESE SHEDS THAT ARE BUILT TO LAST. 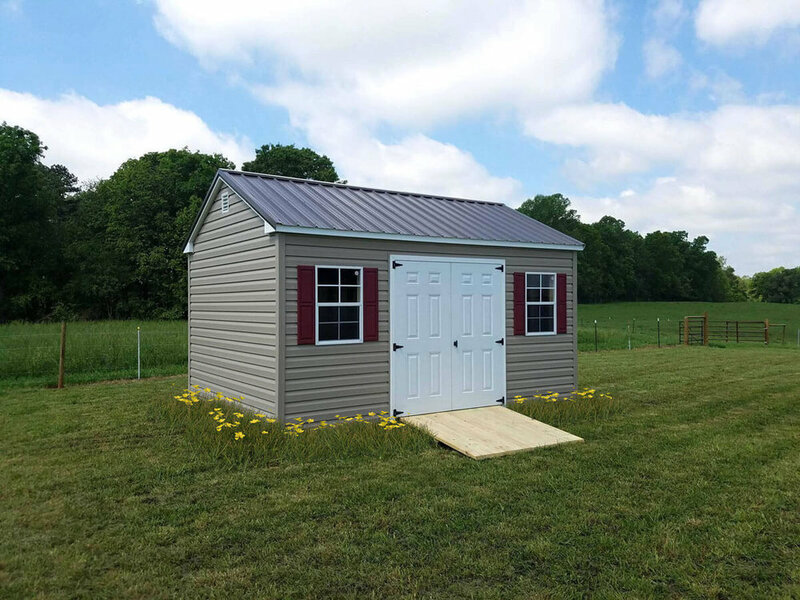 We offer a full line of attractive vinyl sheds that are designed and built to offer you smart storage solutions that keep everything clean, safe and handy. 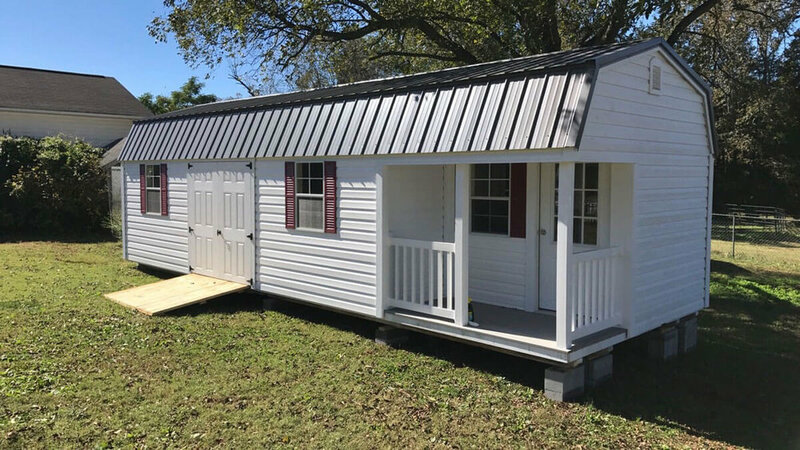 Virtually maintenance-free, vinyl sheds come with an impressive list of standard features such as thermal radiant barrier as well as windows and shutters. Best of all, our storage buildings get approved by even the toughest Home Owners’ Associations! The perfect backyard accent, the vinyl utility shed lends an air of charm to your landscape while adding valuable storage convenience to your life. Wood eaves, soffits, and door jambs match many home styles and come standard on vinyl sheds. Vinyl trim and aluminum wrapped eaves are available as an option. When you’ve got lots of equipment or gear to store, the spacious Lofted Barn is a great choice. With its cherished Gambrel roof design, it leaves you plenty of room in the overhead lofts for bulky items you want off the floor. Two 4-foot lofts come standard with sheds 16 feet and longer. One 4-foot loft comes standard with sheds up to 12 feet long. Why Choose A Vinyl Shed? Vinyl sheds blend seamlessly with many home styles. With our large selection, it is easy to match your shed to your house, as required by many home owners’ associations. Our vinyl sheds stay cooler and brighter than the typical shed. As one of our awesome STANDARD features, we include a thermal radiant barrier on the walls and roof, and two windows. Give yourself more time to enjoy your backyard instead of working in it! Vinyl shed siding is virtually maintenance free. Choose optional vinyl trim and aluminum wrapped eaves for even less upkeep. Design A Shed For Your Life! Maximize its usefulness by adding one of our custom packages to create a garage, craft room, home office, exercise room, or pool house of your dreams!